The Nexus Arts Grant has been purposely designed for young people with disability between the ages of 16 and 25. 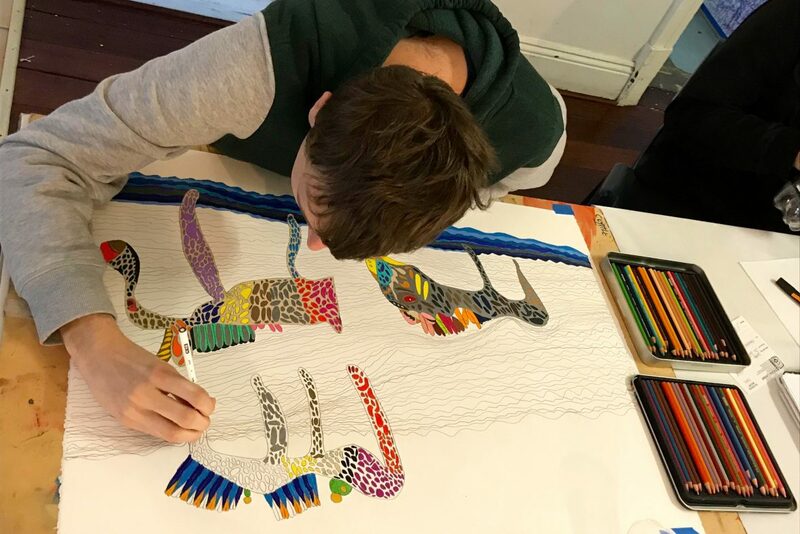 Young artists from metropolitan and regional WA looking to extend their artistic interests, including those who are studying art in educational institutions or participating in post school options programs which facilitate art workshops, are encouraged to apply for this funding. The aim of the Nexus Arts Grant is to provide young people with disability who have been creating art the opportunity to further build their skills in their arts practice in order to achieve their full potential. The grant also aims to provide arts opportunities for emerging young artists with disability, including school leavers wishing to develop their careers as artists in their chosen art form. It is intended that as a result of the Nexus Arts Grant the arts skills developed will potentially allow each recipient to further their arts practice, increase their portfolio, and strive to become artists in their own right. There are three funding categories for grants of up to $2,000, $5,000 and $10,000. The Nexus Arts Grant is funded through a grant received from the Disability Services Commission. Applications for 2018 are now closed. The 2019 grant round is now open. Applications are due by 5pm on 31 May 2019. Download the guidelines and application form below.